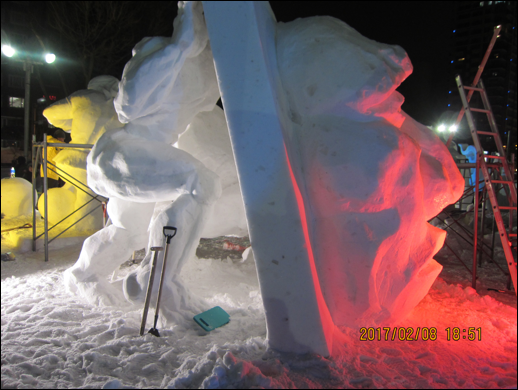 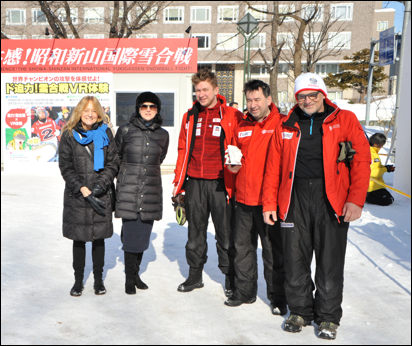 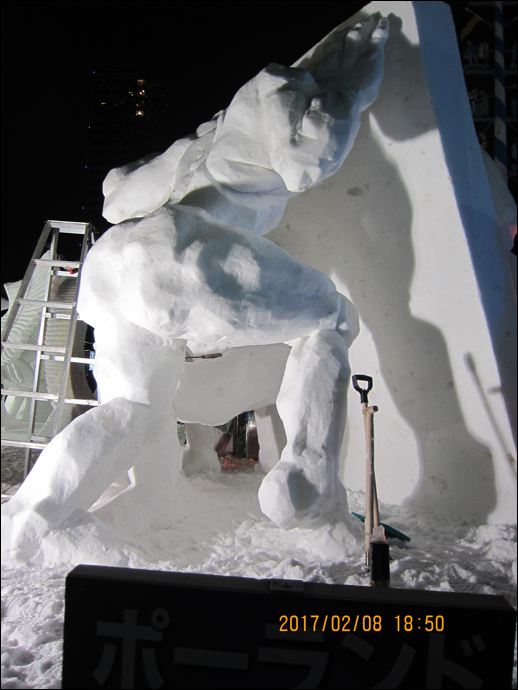 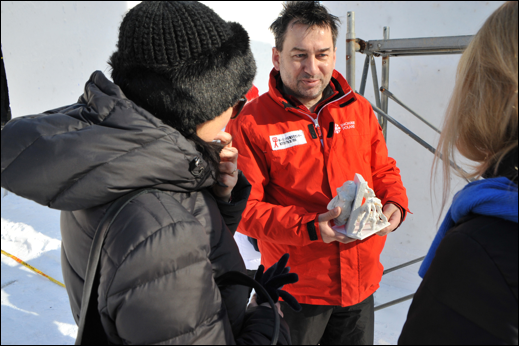 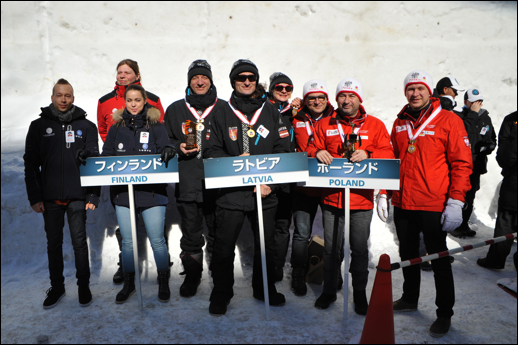 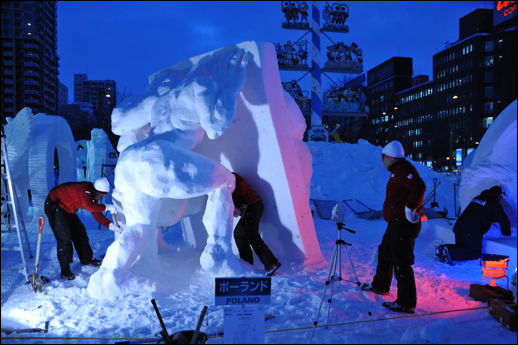 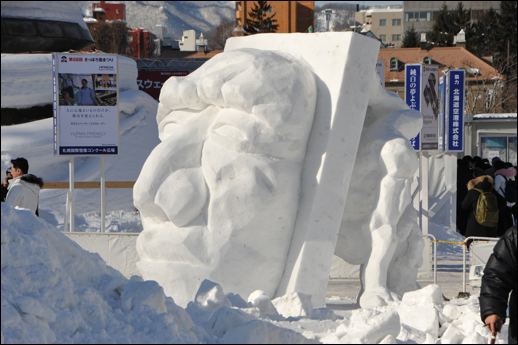 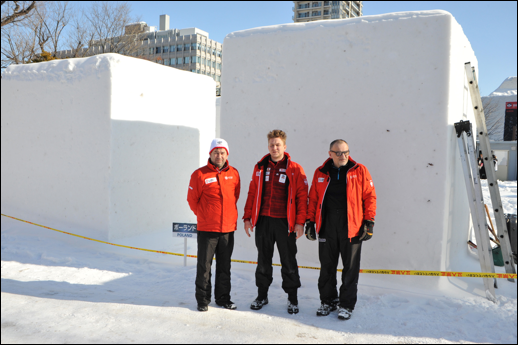 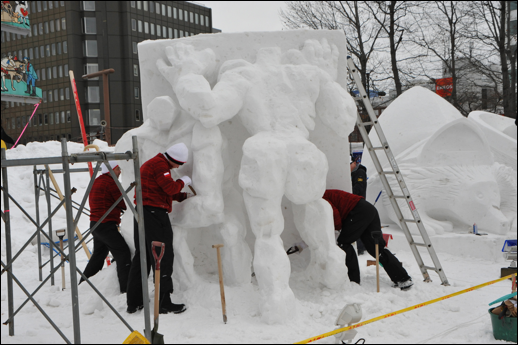 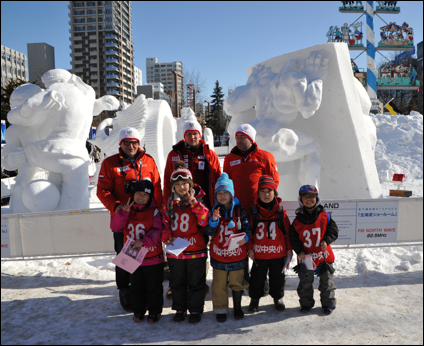 Team Snow Art Poland from Zabrze and Gliwice, Silesia, won the fourth prize at the 44th International Snow Sculpture Contest in Sapporo, Feb. 5-9, 2017. 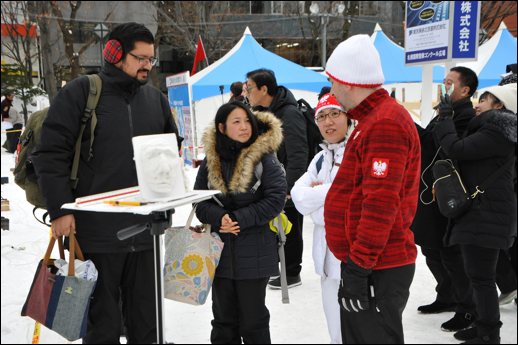 クラクフ市の日本美術技術博物館“マンガ”館一行が来訪 Katarzyna Nowak and Anna Król from Manggha Museum, Kraków, visited the team. 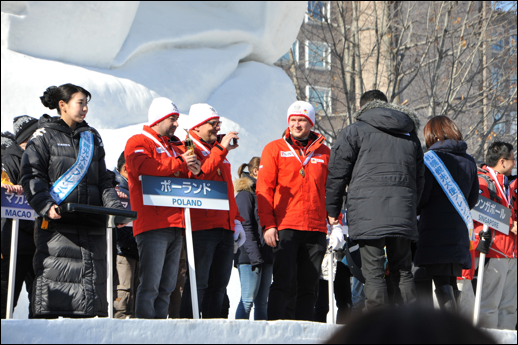 たくさんの観光客や札幌市民が来訪 A lot of tourists and Sapporo citizens visited the team.